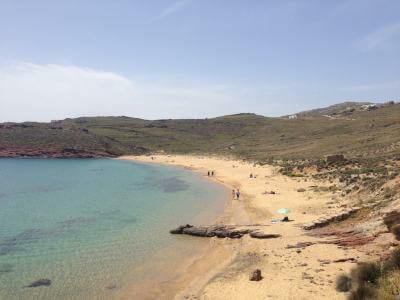 It’s impossible to list all the beaches in Mykonos - besides, it’s better to discover them on your own, seemingly by accident. It’s equally impossible to accurately describe the human geography of an island that’s constantly changing. Surprises are in store at every turn, but that doesn’t mean you can’t indulge in some guilt-free summer clichés. Dive right in! The word cosmopolitan doesn’t even begin to describe it. It’s the kind of beach where you wouldn’t be surprised to see a bouncer face-controlling the crowds. Svelte beauties, international playboys, burkas, airy caftans and little girls looking for a sugar daddy. A-list celebs, Hollywood superstars, local movers and shakers, football players, actors, singers and reality show stars. The drink of choice here is, naturally, champagne. 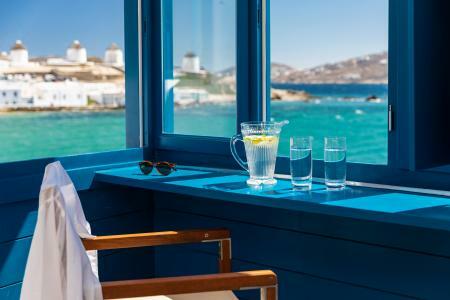 Now that the sun-loungers have changed shape (this year they’re oval) and a shopping mall is scheduled to open right by the beach, Psarou is set to become an independent state in Mykonos. If you want to make your Facebook friends jealous, #psarou is the perfect place to check in. 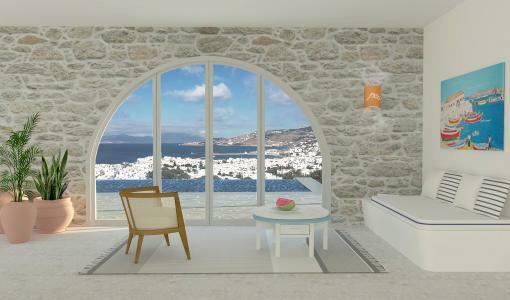 It all started with a question that instantly went viral: Have you reserved your sun-lounger? The white shimmery sand is its greatest asset and something you’ll rarely find anywhere else. It almost looks like liquid gold, matching the swimmers’ Rolex watches perfectly. 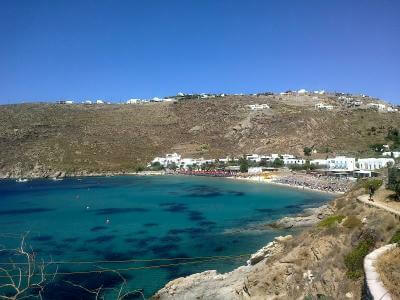 Located on the north side of the island, Fokos is 13km away from Mykonos town, past Ano Mera. The distance makes this idyllic little gulf one of the less frequented destinations around the island, to the point of being excluded from all regular bus routes. Mersini beach is right next to it. 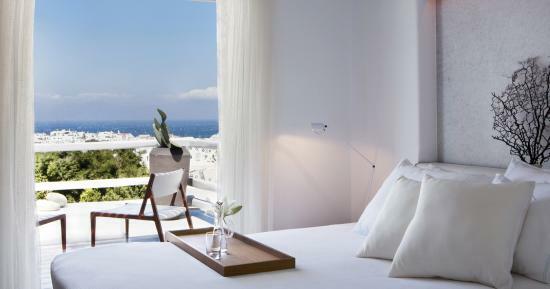 Known as “the other side of Mykonos”, it steers clear of celebrities and superficial glamour. The alternative crowds usually arrive a tad dusty after the 2km walk, but they’re eventually rewarded with crystal clear waters. In fact, the only blue more brilliant than this one can only be encountered in Yves Klein’s work. Their social media accounts are flooded with images tagged #fokosblue, while conversations often revolve around the low temperature of the waters. Goose-pimply and thoroughly refreshed, swimmers enjoy a midday siesta, lying on their sarongs. 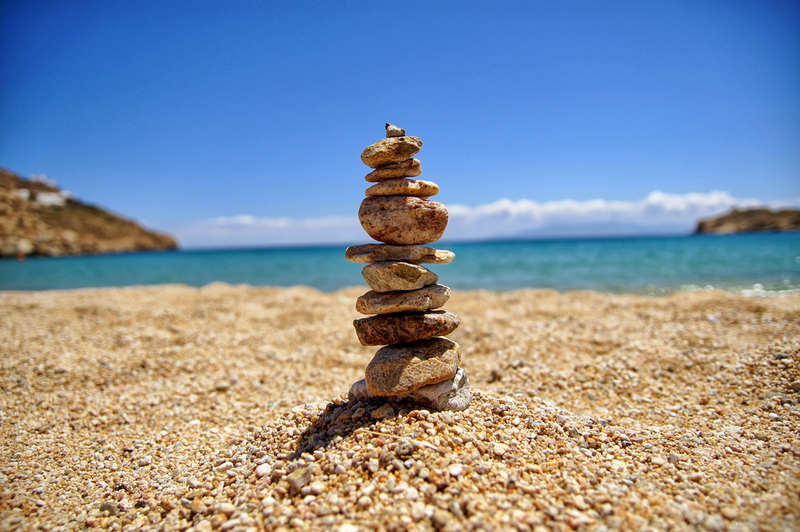 Fokos is the beach most closely resembling a natural spa. 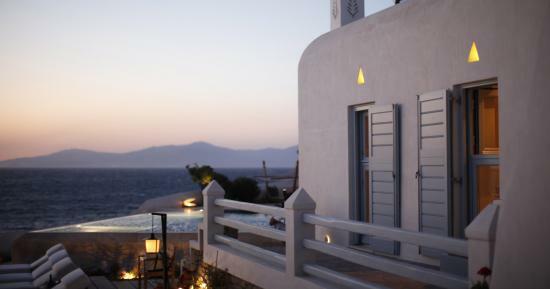 Agios Sostis: a truly style-conscious crowd on the inside track. Their scarves, hats and wooden sunglasses usually bear the signature of a small fashion start-up that turned into an overnight success. Agios Sostis is the epitome of cool. Free-spirited couples, blissed-out lone riders, Pilates-toned Amazons, groups of friends engaged in discreet chatter, respectful of the peaceful surroundings. They’re all armed with water bottles, take-out coffee and snacks, as there’s no beach bar to speak of. Which is exactly the point, as the local TV personality, hiding behind her ginormous hat and oversized sunglasses, in the hopes of remaining anonymous, would gladly tell you. There are no sun-loungers either. Direct contact with the scorching sand is the main motive for anyone frequenting this beach. The tavern with the all-grilled menu and a distinct lack of electricity certainly looms large in everyone’s imagination, especially if you haven’t called ahead to make a reservation. 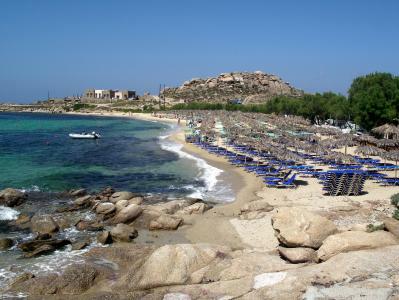 Essentially made up of two beaches, Paranga is split down the middle by a small cape. The south side is a little more tranquil, while the north side is always buzzing with people. This is the beach with the most diverse crowd, from local entrepreneurs on a midday break to haute couture demi-goddesses, balancing on their golden sandals. Paranga is the place to be in the early afternoon, as long as you’re not looking for peace and quiet. Instead of winding down, the crowds go berserk with a little help from world-famous DJs, cocktails and a few laughs. Don’t forget to walk up the hill if you want to enjoy a very different perspective on the sea and the sunset.